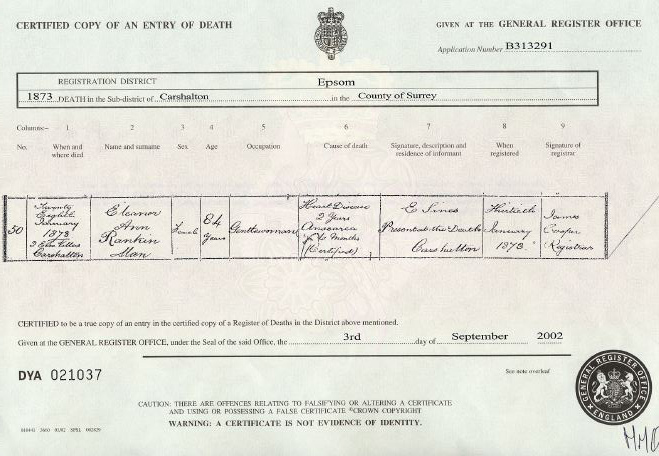 Eleanor Ann Rankin Man was born on 13 June 1788 at Fenchurch Street, London, the youngest daughter of Henry and Eleanor (Thompson) Man, and was baptized in November 1788 at St. Gabriel Fenchurch, London. Eleanor Ann died on 28 January 1873 at 2 Elm Villas, Carshalton, Surrey, aged 85, and was buried on 1 February at St. Margaret, Halstead, Kent. Eleanor Ann belongs to Man Generation Seven. Notes for Eleanor: See FHL Film 039 4830 Between the entries for June and July 1788, there is a note : “NB a baptism omitted of Mr. Man’s daughter is noted in Feb 1796.” After an entry for 25th October 1795 there is the following: “Item: Eleanor Rankin Man, daughter of Henry Man and Eleanora – his wife was born June 13th 1788 and Baptized some day in November following by Rev. M. Whalley, the Rector, at which ceremony the Rev. George Neale then Curate was present. The proper entrance was omitted”. 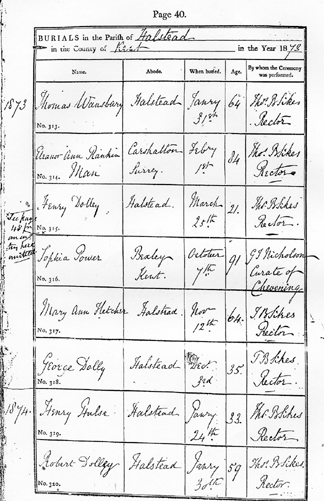 The Parish Register for St. Gabriel Fenchurch Street shows an incomplete record for an offspring of Eleanor and Henry Man in Feb / Mar 1786. Morrice Man wrote in his diary that: ‘She was very plain (she had a goitre) but was very witty and helped to keep the varied household together. She always said that her epitaph should be “Here lies Anne Man who lived an old maid and died an old Man”. She was described as having a face like a pug’s. She was unmarried. Tradition has it that one night as she climbed the stairs at Halstead Hall she caught a glimpse of herself in a mirror and screamed not realizing at that moment that it was her own reflection. She was known as ‘Aunt Ann’. Above is a valentine that Eleanor Ann Man sent to her nephew Henry Garnet Man. The verses on the card were composed by Ann herself. Hubert Man writes that: ‘Ann was an exceedingly plain but very charming old lady; she had a snub-nose & was rather like a pug-dog in the face; she also had a goitre, which she hid with lace. She was full of fun & very witty. 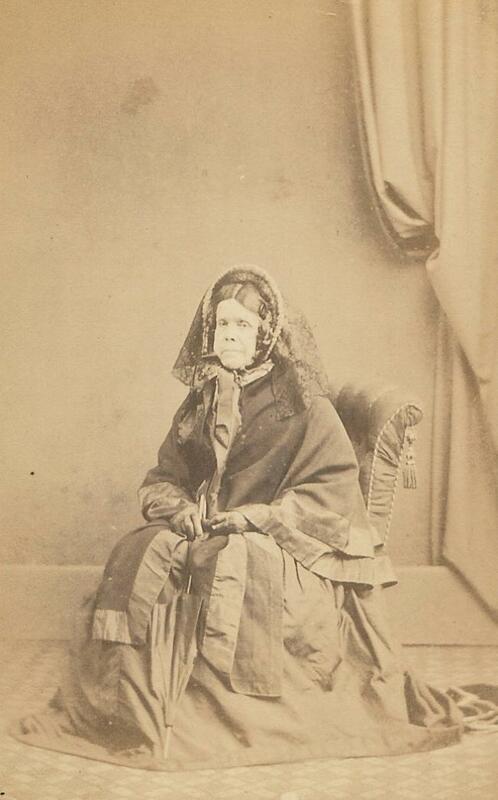 She was devoted to Victoria Matthews who was the unmarried sister of Kate the wife of Edward Garnet Man. The old lady had charge of the drawing room ornaments at Halstead, where she lived with her brother H. S. Man & his family, & before going to bed every night she made a habit of going upstairs to the drawing room to see that, the windows were shut & the shutters fastened & that her beloved ornaments were undisturbed. One night at 9.30 p.m. she left the parlour a usual for the drawing room, the family had gone into the hall to get their flat candle-sticks off the hall table en route for bed, when a piercing scream rang out from the drawing room; there was a scuffle of feet & Aunt Ann leaped the stairs at one bound into the hall, she sat on the bottom stair and refused to say anything except “The thing on the staircase”; when pressed for further information she only replied, “My Dear if I were to tell you what I saw I should die”. It was subsequently whispered that she had seen the reflection of her own face in a mirror. Aunt Ann & the other old ladies at Halstead were in the habit of buying their stuffs, trinkets, etc. from a travelling peddler who visited the Hall every three months, if a watch wanted repair it was given to the peddler who took it away & brought it back repaired three months later, When the peddler came to the house he was left alone in the drawing room where he spread out his materials etc on the chairs; when he was ready each old lady in turn & alone & in strict order of seniority, went into the room to make her selections. Aunt Ann had, what the other old ladies considered an extravagance, she bought two hats or rather I should say bonnets from a hat shop in Bond Street, every year, a black silk poke bonnet lined with white silk for winter wear, white silk lined with pink for summer wear; they were always the same pattern & she wore poke bonnets long after the fashion had died. Labelled by W.D. Fane “Letters to W.D. Fane and Mrs. S.M. Fane from Miss Eleanor Man who was Governess in the family of General John & Mrs. Ann Michel at Dewlish [in Dorset] where W.D. Fane resided in the care of his aunt from 1821 to 1825 when he went to Dr. Bond’s school at Hanwell. Miss Man sends a silk handkerchief that had belonged to Sir Henry Fane (grandfather of W.D. Fane) and was round the neck of W.D. Fane in 1821 when he travelled from Avon Tyrrell to Dewlish. 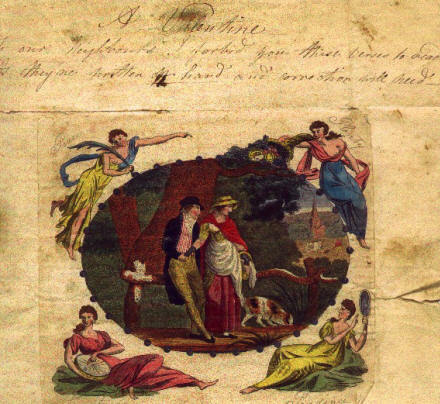 Miss Man in June 1823 gave to W.D. Fane a Book of Common Prayer matching the Bible given by his grandmother Anne Fane (nee Baton)”. 14. Letters of reminiscences about W.D. Fane as a small boy and enquiries about their children, written from Halstead, Seven-oaks. 1855-72. 13 filed together and one loose. Mrs. Ann Michel was nee Ann Fane the sister of William Fane (W.D.F.’s father). Note that Eleanor Man’s fourth cousin was Sarah Ann Child who on 20 May 1782 had married John Fane, 10th Earl of Westmorland, William Fane’s first cousin. Each letter is in pdf and can be downloaded individually or in one complete file. Letter One, 26 Dec 1855; Letter Two, 11 April 1863; Letter Three, 26 May 1868; Letter Four, 30 May 1868; Letter Five, 14 Oct 1868; Letter Six, 20 Oct 1868; Letter Seven, 30 May 1869; Letter Eight, 21 Dec 1869; Letter Nine, 5 Dec 1870; Letter Ten, 4 April 1872; Letter Eleven, 10 Oct 1872; Letter Twelve, 20 Oct 1872; Letter Thirteen, 21 Oct 1872; Letter Fourteen, 23 Oct 1872 and Envelope. To download ALL the letters in ONE file (72 pages) click here. Notes: 1. Sent from “Richmond; “1833” later pencilled by the same hand as added to Henry Man’s pocket-book. 2. Over to second page. 3. Word unclear, but suiting the context. 4. Symbols unclear, but could be an attempt at Greek chi rho. 5. Over to third page. 6. Final word partly lost under the wax seal, probably “life”.